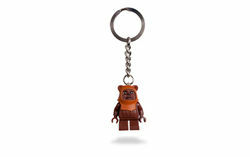 The Key Chain set 852838 Wicket Key Chain was released in February 2010 as part of the Classic Star Wars line. A Wicket minifigure with a keychain is included. This is a description taken from LEGO.com. Please do not modify it. (visit this item's product page) Wicket guards your keys! Facts about "852838 Wicket Keychain"
ShopDescription Wicket guards your keys!